In 2012, at the age of 45, I achieved a major life goal by qualifying for the National Championships for olympic distance triathlon. It was one of the coolest things I have ever done. This was before I ever dreamed up a course like Formula 7… yet the general underlying health practices of Formula 7 were exactly what I was doing at the time, and helped me get in the best shape of my life. 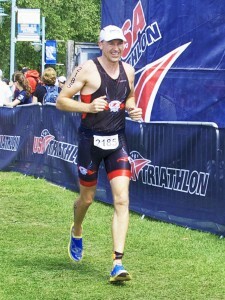 I ended up finishing in the top 25%, which I was pretty happy with given I was twice the age of the fastest athletes. I also had a kind of remarkable finish, achieving my best 10 K run speed ever… even though I had just swam a mile and biked 26 miles before doing it! I just felt like superman when I got off that bike, and had that “runners high” as I ran the 10 K course on the edge of Lake Champlain, a beautiful setting, on a beautiful day. But the reason I share this story with you isn’t because I’m “selling” anybody on being a triathlete, but because I bet there is some similar satisfaction you can achieve in your life to what I described. Picture another, different day, and totally different setting. I was visiting my sister in North Bend, Washington, at the foot of Mt. Si. If you’ve never seen it, it’s a dramatic, haystack shaped mountain with an incredible view of the Puget Sound. One day I decided to run it. Unlike the national championships, there was nobody watching, there was no timing chip or uniform or prize for participation. Just me, the mountain, and a beautiful Pacific Northwest trail. I reached the top, and sat for a while looking out over Seattle… and in a different way, it was just as satisfying as crossing the finish line at the National Championships. Having ran many races and participated in a lot of team sports in my life, I have always found exercise and fitness to be extremely rewarding. And in my life experience, it’s usually that way for everybody… once they get to a certain level of fitness. One more story. 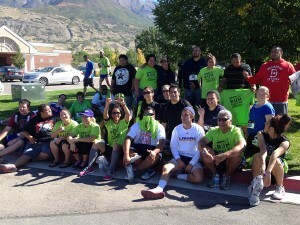 I organized a 5K for a group of college students… part of a wellness program I was asked to design for them. We had a large Polynesian group. Their leaders were a couple… both pretty out of shape, and wearing sandals, not the kind you would normally wear in a 5K, the kind you would wear on a beach. Anyway, all the college students set out to run the 5K, and within 30 minutes it was over, for the most part. Awards were given out, people went home. But none of the Polynesian students. They sat in the shady trees, and passed around a rugby ball, but nobody went home. I realized they were waiting for their leaders to finish the “race.” They had set out, hand in hand, in true island style walking together, at the back of the pack. Eventually, they came around the corner into site, and all those kids gathered at the 5K finish line and formed a tunnel, and yelled and cheered as this happy couple sauntered through the tunnel across the finish line, taking over an hour to complete a 5 K race. But guess what? Walking 3 miles for the first time in your life can be as exhilarating and rewarding for you as crossing the finish line of a big race is for somebody else. For many people, the first 90 days can be rough. Metabolic change takes time, and muscles, joints and ligaments that haven’t been worked for a while will complain for at least 90 days before they give in and start making you feel good. But it’s worth it! So this week in Formula 7 we will be discussing Exercise, one of the 7 principles of Formula 7. In my life experience, I don’t think anybody can be as happy as possible without a certain level of fitness. I just don’t believe it. They can pretend they can, but they don’t know what they don’t know. Until they improve their fitness to the point that they look back and have that epiphany, and wonder how they ever lived fully when they were out of shape. So this week we will explore the latest in health and fitness and research, and see if we can’t help you achieve a greater level of fitness, and happiness, through exercise and fitness. How well is your current regimen working for you? Are you satisfied with your current level of health? If not, why not? How could it be better? What ONE THING could you change, today, to improve your exercise routine? Is there a certain activity, like a race or a mountain to climb, that you have always wanted to do? If so, what? What small step could you take right now towards reaching that goal? What physical activity really makes your heart sing? Do you do enough of it? How could you do more? Do you get at least 5 hours of exercise per week? If not, how could you? It doesn’t have to be 5 hours of intense exercise, walking counts! If you aren’t part of Formula 7 yet, join now, it’s free! Get started here. And join our private Facebook group, we would love to meet you and help you achieve your health goals! Farm Fresh Foods vs. Mass Produced Factory Foods	When It Comes to Exercise, Everything Counts!